You girls are probably surprised I haven’t run out of games to talk about yet, huh? Well, believe me, I have plenty I’ve played to talk about what’s worked and what hasn’t. I could probably make this blog just about games and go on forever. But I don’t want to bore you, so I’ll make this my last post about games, at least for a while, and we’ll get back to other tips next time. I just remembered a couple of games that I really wanted to post about before we moved on. 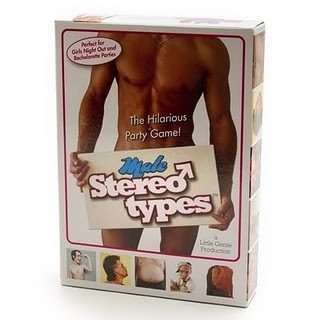 The first one is one of my all-time favorite bar games, hands down. A little disclaimer, these aren’t just regular card or coin games I’m going to be talking about in this post, but I think this one is well worth the money. It’s only $10, after all. 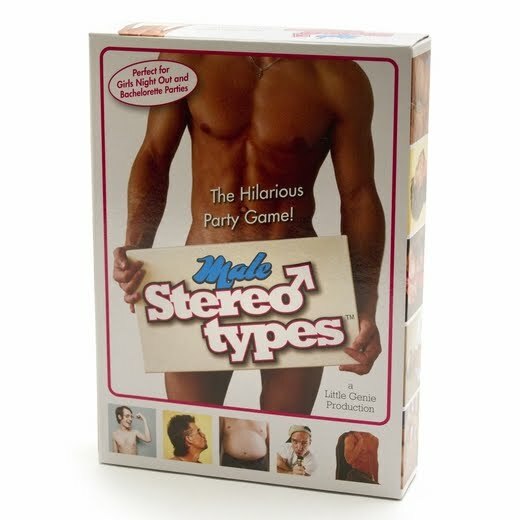 It’s called the Male Stereotypes Game. A game that gets more fun when you’re drunk, though, is this next one - Bachelorette Mad Libs. 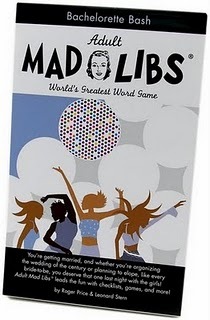 I saw a mad libs book at the book store the other day when I was doing some last-minute christmas shopping and it made me remember when I played this at a friend’s bachelorette party and so I had to include it in this post. I don’t think I need to explain what mad libs is, everyone loves them. So really all I have to tell you is that some of the ones in here are especially good for girls thinking the way we always are at bachelorette parties. A great thing about this, now that I’m thinking about it, is that it’s versatile, you could have a fun time with it even if you keep things clean. But if you don’t, well, you can imagine all the hilarious possibilities. Alright, like I said, that’s it for games now. Unless some really good idea comes up in my head between now and next time, the next post will be about something else, I promise.